Une publication qui émane de nos collègues suisses et qui interpelle quelque peu. La décompression thoracique apparat être un geste dont la maîtrise est largement insuffisante y compris quand elle est réalisée au sein d'un système mature. Une raison de plus pour s'intéresser à la maîtrise effective des gestes censés participer à la mise en condition de survie des blessés. On rappelle l'intérêt de la thoracostomie au doigt (1), doigt dont la longueur est en général suffisante pour entrer dans un thorax. Chest decompression can be performed by different techniques, like needle thoracocentesis (NT), lateral thoracostomy (LT), or tube thoracostomy (TT). 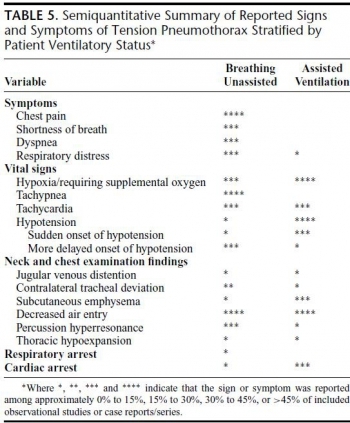 The aim of this study was to report the incidence of prehospital chest decompression and to analyse the effectiveness of these techniques. In this retrospective case series study, all medical records of adult trauma patients undergoing prehospital chest decompression and admitted to the resuscitation area of a level-1 trauma center between 2009 and 2015 were reviewed and analysed. Only descriptive statistics were applied. 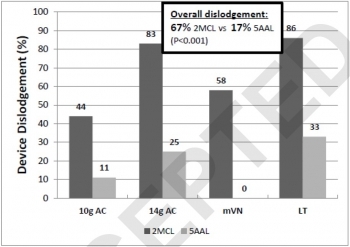 In a 6-year period 24 of 2261 (1.1%) trauma patients had prehospital chest decompression. Seventeen patients had NT, six patients TT, one patient NT as well as TT, and no patients had LT. Prehospital successful release of a tension pneumothorax was reported by the paramedics in 83% (5/6) with TT, whereas NT was effective in 18% only (3/17). In five CT scans all thoracocentesis needles were either removed or extrapleural, one patient had a tension pneumothorax, and two patients had no pneumothorax. No NT or TT related complications were reported during hospitalization. Prehospital NT or TT is infrequently attempted in trauma patients. Especially NT is associated with a high failure rate of more than 80%, potentially due to an inadequate ratio between chest wall thickness and catheter length as previously published as well as a possible different pathophysiological cause of respiratory distress. Therefore, TT may be considered already in the prehospital setting to retain sufficient pleural decompression upon admission. Exsufflation: Cela se complique ! Comme toujours, après une phase d'engouement vient le temps de la réflexion. L'exsufflation à l'aiguille n'est pas d'une indication si fréquente et en plus expose à certaines complications. A lire avant de se lancer dans l'utilisation d'aiguille de tout genre. Pneumothorax compressif, sous tension, tamponnade gazeuse. Autant de termes utilisés pour cette situation clinique à laquelle est souvent associé l'existence d'une hypotension artérielle, en fait surtout présente chez les patients ventilés. La détresse respiratoire est souvent au premier plan che le blessé non ventilé et le terme de pneumothorax suffocant adapté. Le document proposé est un peu ancien mais apporte une vision relativement didactique de la problématique séméiologique et physiopathologique. Pneumo suffocant: HypoTA, pas toujours! Il est souvent estimé que l'hypotension artérielle est un des symptômes clé du pneumothorax suffocant. Pourtant ceci semble surtout vrai pour le pneumothorax sous machine et beaucoup moins pour le pneumothorax du patient en ventilation spontanée. Chez le sujet en ventilation spontanée, l'hypotension est tardive. tachypnée et détresse respiratoire sont au premier plan. Un trocard de coelio ? Quinton H. et Al. J Trauma Acute Care Surg. 2014;77: 170-175. Le recours à un cathéter d'au moins 8 cm est prôné par certains du fait de l'épaisseur de la paroi thoracique. L'inconvénient de cette longueur est le risque non négligeable de ponction parenchymateuse surtout lors de l'emploi de la voie antérieure. La voie latérale exposerait maoins à ce risque. Une alternative bien moins dangereuse et toute aussi efficace est la thoracostomie au doigt. Et pourquoi pas un trocard de coelio ? BACKGROUND: Needle thoracostomy (NT) is a commonly taught intervention for tension pneumothorax (tPTX) but has a high failure rate. We hypothesize that standard 5-mm laparoscopic trocars may be a safe and more effective alternative. METHODS: Thirty episodes of tPTX and 27 episodes of tension-induced pulseless electrical activity (PEA) were induced in five adult swine using thoracic CO2 insufflation via balloon trocar. Tension was defined as a 50% decrease in cardiac output. 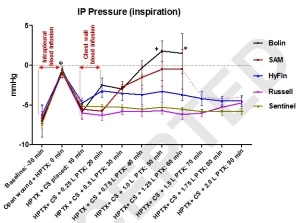 Chest decompression was performed with 5-mm laparoscopic trocars for the treatment of both tPTX with hemodynamic compromise and tension-induced PEA. The lungs and heart were inspected and graded at necropsy for trocar-related injury. Results were also compared with success rates with NT in the same model. RESULTS: The placement of a 5-mm trocar rapidly and immediately relieved tension physiology in 100% of the cases. Mean arterial pressure, cardiac output, central venous pressure, and pulmonary capillary wedge pressure all returned to baseline within 1 minute of trocar placement. Adequate perfusion was restored in 100% of tension-induced PEA cases within 30 seconds of trocar placement. There was no evidence of trocar-related heart or lung damage in any of the experimental animals at necropsy (mean injury scores, 0 for both). Fivemillimeter trocars significantly outperformed standard NT for both tPTX and tension-induced PEA arrest. CONCLUSION: tPTX and tension-induced PEA can be safely and effectively treated with chest decompression using 5-mm laparoscopic trocars. This technique may serve as a more rapid and reliable alternative to needle decompression. 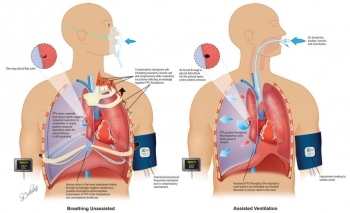 Pneumothorax et vol en altitude : Possible ? BACKGROUND: Current guidelines suggest that traumatic pneumothorax (tPTX) is a contraindication to commercial airline travel, and patients should wait at least 2 weeks after radiographic resolution of tPTX to fly. This recommendation is not based on prospective, physiologic study. We hypothesized that despite having a radiographic increase in pneumothorax size while at simulated altitude, patients with a recently treated tPTX would not exhibit any adverse physiologic changes and would not report any symptoms of cardiorespiratory compromise. METHODS: This is a prospective, observational study of 20 patients (10 in Phase 1, 10 in Phase 2) with tPTX that has been treated by chest tube (CT) or high flow oxygen therapy. CT must have been removed within 48 hours of entering the study. Subjects were exposed to 2 hours of hypobaria (554 mm Hg in Phase 1, 471 mm Hg in Phase 2) in a chamber in Salt Lake City, Utah. Vital signs and subjective symptoms were recorded during the ‘‘flight.’’ After 2 hours, while still at simulated altitude, a portable chest radiograph (CXR) was obtained. tPTX sizes on preflight, inflight, and postflight CXR were compared. RESULTS: Sixteen subjects (80%) were male. Mean (SD) age and ISS were 49 (5) years and 10.5 (4.6), respectively. Fourteen (70%) had a CT to treat tPTX, which had been removed 19 hours (range, 4Y43 hours) before the study. No subject complained of any cardiorespiratory symptoms while at altitude. 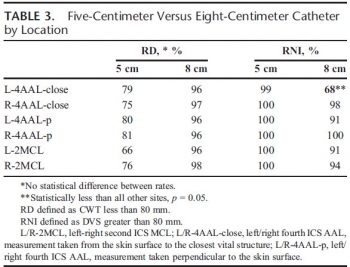 Radiographic increase in tPTX size at altitude was 5.6 (0.61) mm from preflight CXR. No subject developed a tension tPTX. No subject required procedural intervention during the flight. Four hours after the study, all tPTX had returned to baseline size. CONCLUSION: Patients with recently treated tPTX have a small increase in the size of tPTX when subjected to simulated altitude. This is clinically well tolerated. Current prohibitions regarding air travel following traumatic tPTX should be reconsidered and further studied. Thoracostomie au doigt: Le mieux ! La réalisation d'une exsufflation à l'aiguille bien que classique reste discutable du fait de nombreux problèmes techniques et du caractère très relatif de son efficacité. La thoracostomie au doigt doit être considérée comme la technique de référence. To evaluate the effectiveness and potential complications of simple thoracostomy, as first described by Deakin, as a method for prehospital treatment of traumatic pneumothorax. Prospective observational study of all severe trauma patients rescued by our Regional Helicopter Emergency Medical Service and treated with on-scene simple thoracostomy, over a period of 25 months, from June 1, 2002 to June 30, 2004. Fifty-five consecutive severely injured patients with suspected pneumothorax and an average Revised Trauma Score of 9.6+/-2.7 underwent field simple thoracostomy. Oxygen saturation significantly improved after the procedure (from 86.4+/-10.2% to 98.5%+/-4.7%, P<0.05). No difference exists in the severity of thoracic lesions between patients with systolic arterial pressure and oxygen saturation below and above or equal to 90. A pneumothorax or a haemopneumothorax was found in 91.5% of the cases and a haemothorax in 5.1%. 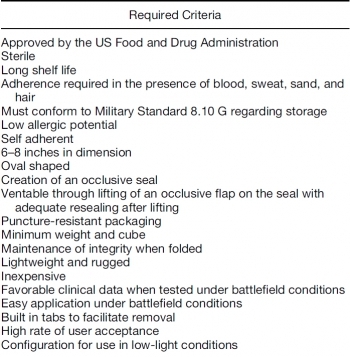 No cases of major bleeding, lung laceration or pleural infection were recorded. No cases of recurrent tension pneumothorax were observed. Forty (72.7%) patients survived to hospital discharge. 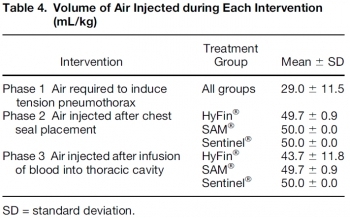 Prehospital treatment of traumatic pneumothorax by simple thoracostomy without chest tube insertion is a safe and effective technique. Pneumothoraces are relatively common among trauma patients and can rapidly progress to tension physiology and death if not identified and treated. We sought to develop a reliable and reproducible large animal model of tension pneumothorax and to examine the cardiovascular effects during progression from simple pneumothorax to tension pneumothorax. Ten swine were intubated, sedated, and placed on mechanical ventilation. After a midline celiotomy, a 10-mm balloon-tipped laparoscopic trocar was placed through the diaphragm, and a 28F chest tube was placed in the standard position and clamped. Thoracic insufflation was performed in 5-mm increments, and continuous cardiovascular measurements were obtained. Mean insufflation pressures of 10 mm Hg were associated with a 67% decrease in cardiac output (6.6 L/min versus 2.2 l/min; P = 0.04). An additional increase in the insufflation pressure (mean 15 mm Hg) was associated with an 82% decrease in cardiac output from baseline (6.8 versus 1.2 L/min; P < 0.01). 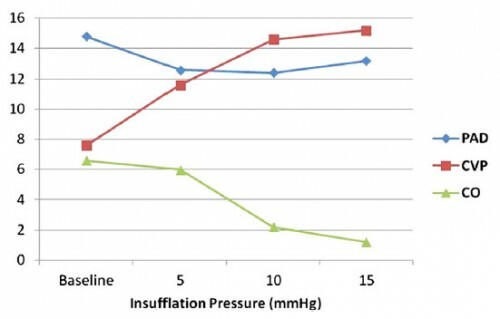 Increasing insufflation pressures were associated with a corresponding increase in central venous pressure (from 7.6 mm Hg to 15.2 mm Hg; P < 0.01) and a simultaneous decrease in the pulmonary artery diastolic pressure (from 15 mm Hg to 12 mm Hg; P = 0.06), with the central venous pressure and pulmonary artery diastolic pressure approaching equalization immediately before the development of major hemodynamic decline. Pulseless electrical activity arrest was induced at an average of 20 mm Hg. Tension physiology was immediately reversible with adequate decompression, allowing for multiple repeated trials. A reliable and highly reproducible model was created for severe tension pneumothorax in a large animal. Major cardiovascular instability proceeding to pulseless electrical activity arrest with stepwise insufflation was noted. This model could be highly useful for studying new diagnostic and treatment modalities for tension pneumothorax. Pneumothorax: A partir de quel volume d'air le dépiste-t-on ? Oveland NP et All. Scand J Trauma Resusc Emerg Med. 2013; 21: 11.